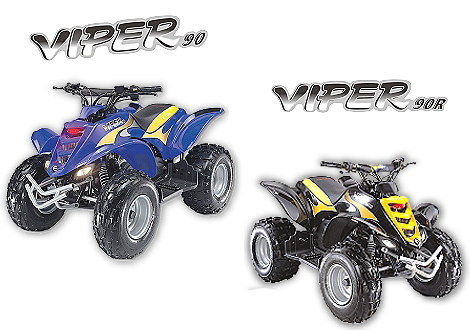 The Viper 90 is the most powerful ATV in the Viper Series, it is an incredible machine with a sleek sporty look that will get your friends talking. 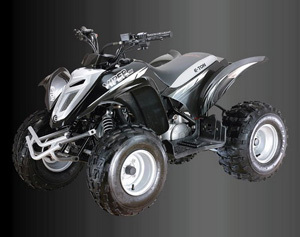 The Viper 90 is a 2 stroke 90cc ATV more powerful than its two younger brothers yet safety is not compromised. 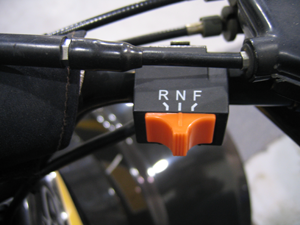 It has a fully automatic C.V.T transmission that allows the rider to have power when they need it. The Viper 90 has fully adjustable front and rear shocks that ensure a comfortable ride. The Viper 90 also has the added excitement of dual front headlights, rear tail/brake lights and a pulsating front LED. The R in the Viper 90R stands for Reverse. The Viper 90R has an electric shift transmission with reverse. The only Youth ATV available with this feature. Just add the optional safety tether switch and our optional Remote Control Start/Stop unit and you have the best ATV your money can buy. Aggressive tire tread design to keep this unit moving through the most demanding terrain. 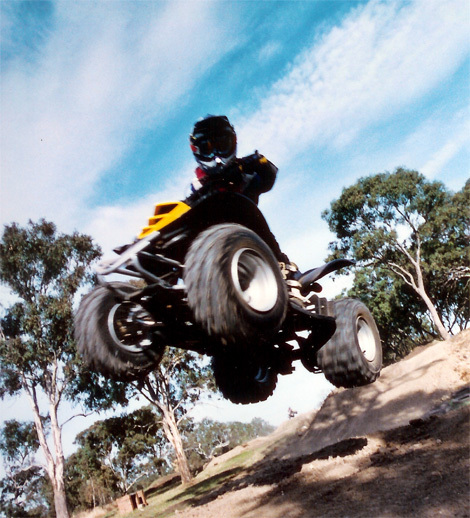 The Viper 90/90R is designed for the more experienced ATV rider over the age of 12 years old. The Viper 90/90R needs to be seen to be believed so contact your nearest E-TON dealer to immerse yourself in the experience of a lifetime!